Birth control pills, or oral contraceptives, are usually a combination of man-made versions of the hormones progesterone and estrogen. They can help treat a variety of hormone-related issues, and there’s even evidence they also offer other health benefits. While many doctors prescribe pills, other forms of hormonal contraception like patches, intravaginal rings, and intrauterine devices (IUDs) may work, too. About three-fourths of women get irritable, angry, or tense around their periods. This is known as PMS. About 8% of women have a severe version known as PMDD. Your doctor may tell you to skip the week of sugar pills that usually come with birth control pills and start a new pack. Taking the hormone pills continuously will keep you from having a period -- and the changes that affect your mood. Many things can trigger these headaches, but changing levels of estrogen and progesterone could make them worse. You may get more migraines before or during your period, probably because of the drop in estrogen. Your doctor may suggest you keep taking your birth control pills so you don't get a period, or use a patch with estrogen during your period to hold that hormone level steady. Intense cramps could mean you have a condition called dysmenorrhea. The pain is caused by a chemical that forms in your uterus and triggers muscle contractions. Your doctor may recommend you take birth control pills or use the patch or ring to prevent the release of an egg, called ovulation. That way your uterus makes less of the pain-causing chemical, prostaglandin. They're not designed to treat breakouts, but birth control pills do lower the level of "male" hormones your ovaries make that can lead to skin trouble. You’ll need to work with your doctor to find the pill with the right combination of drugs for you. It may be several weeks or months before you see results. 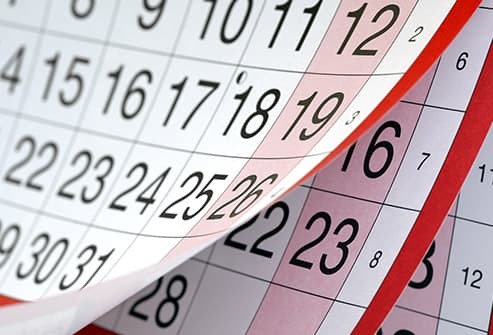 When your body doesn't make enough progesterone, you could go a long time between periods. This allows the lining of your uterus to build up, and you'll bleed a lot when you finally start. 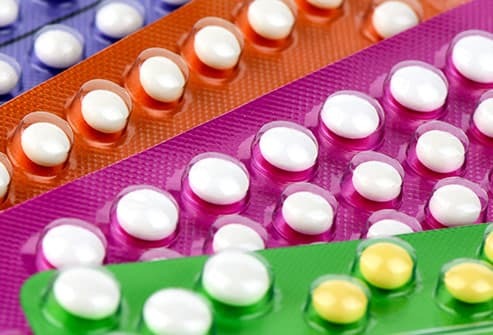 Taking combination birth control pills can regulate your cycle. The version of progesterone in them also helps keep your lining thinner. Your doctor may prescribe a progestin-only "mini pill" that you take continuously to lessen or even stop your flow. 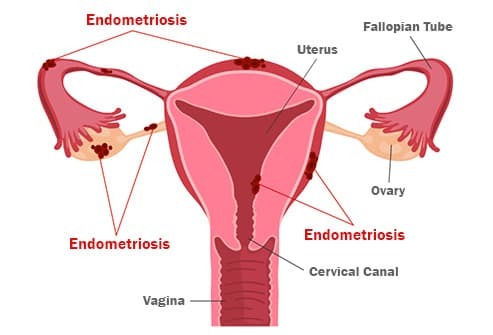 This painful disorder happens when the tissue that normally lines the inside of the uterus, called the endometrium, grows in other areas of the pelvic region, including your ovaries and bowel. Birth control pills affect this tissue outside the uterus in the same way as inside. They limit how much it builds up, so you'll hurt less. 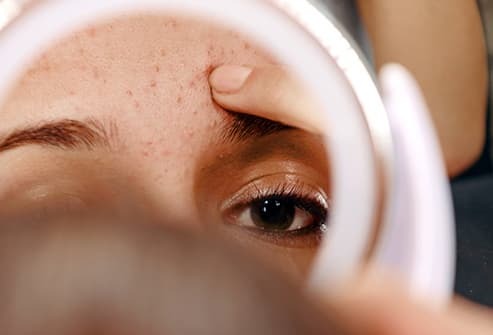 You can't cure polycystic ovary syndrome, but you can treat symptoms such as irregular or missed periods, acne, and excess hair growth. The hormones in birth control pills can help reset the imbalance of "male" and "female" hormones that causes these problems for women with the condition. Because birth control pills cut back on the amount of bleeding you have during your period, you may also be less likely to get anemia, or low levels of red blood cells. They've also been linked to lower rates of ovarian and uterine cancers. 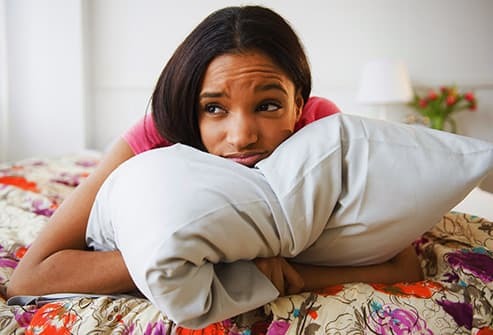 Most women have no problems while taking birth control, but you could have irregular periods and mood and weight changes, especially during the first few months. Although less common, blood clots are possible, too. The pills have also been linked to higher risks of breast and cervical cancers. Talk to your doctor about the best form of birth control to address your concerns safely. American College of Obstetricians and Gynecologists (ACOG): "ACOG Guidelines on Noncontraceptive Uses of Hormonal Contraceptives." American Society for Reproductive Medicine: "Fact Sheet: Noncontraceptive Benefits of Birth Control Pills." UpToDate: "Patient information: Premenstrual syndrome (PMS) and premenstrual dysphoric disorder (PMDD) (Beyond the Basics)," "Patient information: Painful menstrual periods (dysmenorrhea) (Beyond the Basics)." Mayo Clinic: "Headaches and hormones: What’s the connection?" 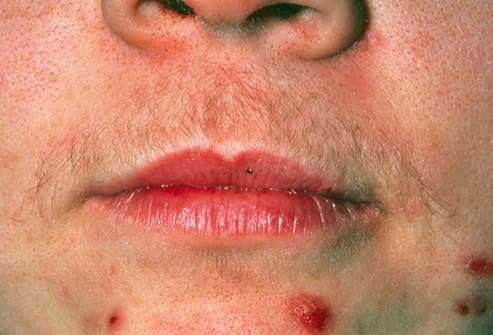 "Endometriosis,"
U.S. National Library of Medicine: "Acne: Which birth control pill can help improve your complexion?" "Treatment options for heavy periods." National Institute of Child Health and Human Development: "Treatments to Relieve Symptoms of PCOS." National Cancer Institute: "Oral Contraceptives and Cancer Risk."